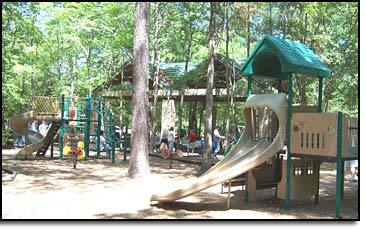 http://woodlandsevents.com/parks-playgrounds The Woodlands features over 100 parks! follow link above to see all amenities including skate parks, sports fields, pools, splash pads,playgrounds and more ! 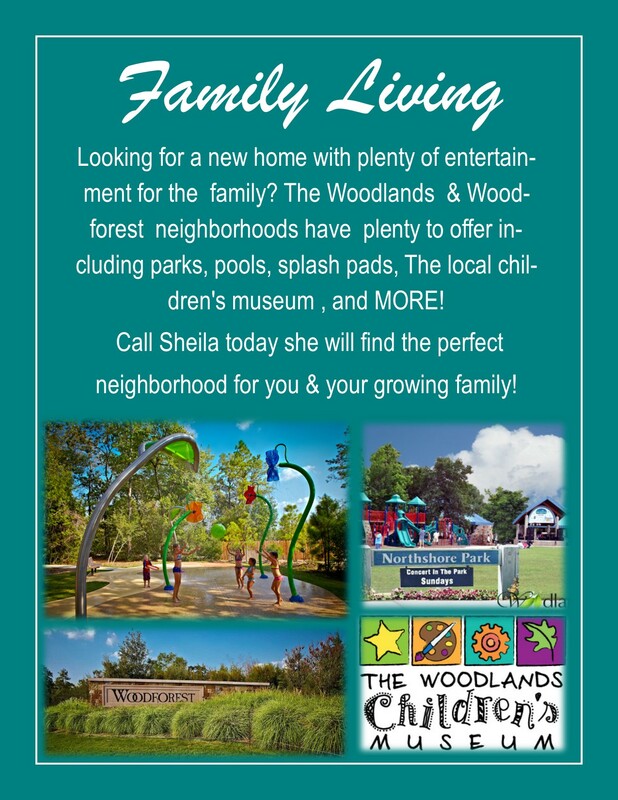 http://www.woodforesttx.com/ Woodforest, fabulous neighborhood located down Fish creek thoroughfare, between FM 1488 & HWY 105! About 2 miles from Lake Conroe too! With more than 700 acres dedicated to parks, recreational areas, sports fields and open areas, Woodforest is a natural place to play. Monarch Park is a butterfly-themed park and playground offering fun for the whole family. Cypress Trail, a 3-mile hike-and-bike trail, meanders throughout the community connecting neighborhoods to parks and playgrounds. The 3-acre Jackson Park caters to baseball and soccer enthusiasts. And because we know Fido is a member of the family too, part of the playfield is devoted to the Admiral Bark Park, named in honor of Woodforest’s first four-legged resident. The master plan for Harper’s Preserve includes outstanding amenities. The West Village Recreation Center is now open and includes a community pool and pool barn with outdoor kitchen, playground, walking trails, bowling and bocce ball greens and horseshoe pits. Lookout Hill, located in the central recreation area, features boulders for children to climb on and explore the environment. The Heritageat Towne Lakeis an exclusive enclave builtfor active adults and is abuzzwith activityfrom sun–up well into the night: dancing, shows, artsand crafts, cards, billiards, workouts – and more! There are both new construction and resale available. 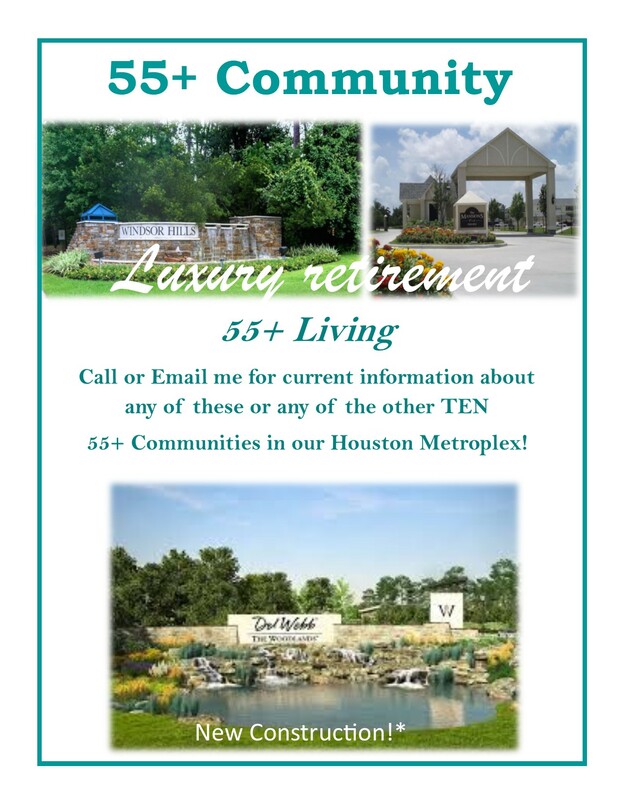 Del Webb North- The Woodlands is a new 55+ community in the Houston, Texas area. This active adult neighborhood will-upon completion- this 55+ have approximately 550 single-family homes with an 11,500sqft clubhouse at its center. There will be a social lounge, ballroom, billiards, craft and card rooms,catering kitchen, and coffee bar. There will also be an outdoor pool, spa, patio and tennis courts..Call me for new construction information! Del Webb-Sweetgrass is a community for active adults 55+ situated on 500 acres southwest of Houston in Richmond, Texas. A natural creek, 50-acre lake +4 miles of walking trails are here in addition to the 27,000sqft clubhouse filled with amenities. With 23 floorplans to choose from, YOUR perfect home is here! The area has express access to downtown Houston and major commerce, but is remote enough to allow for privacy. The Woodforest Golf Club features a 27-hole championship course designed by PGA powerhouseSteve Elkington and rated one of the top 10 courses in Texas by Golf Digest. The club has hosted the PGA Champion’s Tour Regional Qualifier tournament every year since 2008 and in 2012 hosted both the USGA Amateur Qualifier and the Texas Golf Association Amateur Public Links Championship. The Club also features a brand new 10,000 sq. ft. clubhouse that includes a restaurant, full-service bar and a 2,000 square foot golf shop. Opened in 2001, the public Woodforest Golf Club features three courses contoured with towering pine trees and old-growth oaks. As it meanders through the landscape, the course challenges golfers, while three sets of tees accommodate a variety of handicaps. Golfers hone their skills at generous practice facilities, including a driving range, separate putting and chipping greens, and fairway and greenside practice bunkers. 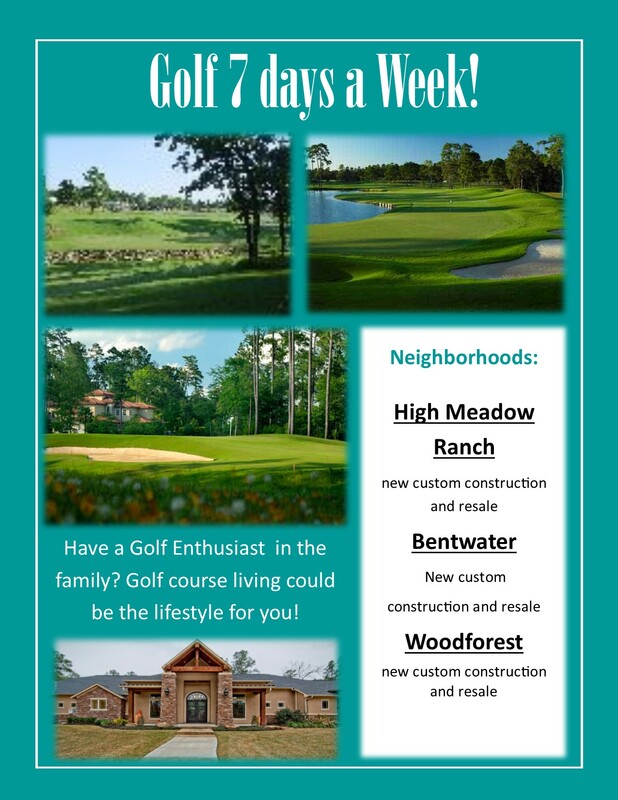 Book your next Houston tee time at High Meadow Ranch Golf Club in Magnolia, Texas. Designed by Tim Nugent and former PGA Touring Professional, David OgrinHigh Meadow Ranch Golf Club meanders over a magnificent piece of property that is natural and rich in history. Built on the spectacular terrain of southwest Montgomery County, the course sits inside the rustic country development of High Meadow Ranch and features a distinctive routing consisting not of two nines, but three six-hole loops. Aptly named the Forest Loop, Pine Barrens Loop and Signature Loop, the six hole routings provide flexibility for quick golf rounds and has made High Meadow a popular local venue for golf leagues and group outings. Embracing the Texas “country charm” and relaxed atmosphere of High Meadow Ranch, the club facilities provide all the amenities one would expect to ensure a fun-filled day of golf. The High Meadow Ranch Golf Club facility is home of OGIE’s grill and also offers a 3,000 square foot event pavilion that is a popular venue for Houston corporate parties, social gatherings and post tournament awards banquets. The golf facility at High Meadow also boasts a well-appointed golf shop that features the very best golf clothing and equipment from the likes of Callaway, Nike Golf, Cleveland Golf, and more. For Houston golfers looking to improve their game, the expansive practice facility at High Meadow Ranch features a large grass teeing area, two practice putting greens and short game practice areas. Golf instruction is also available from our PGA golf professional staff which offers individual and group golf lessons as well as a variety of golf school instructional packages. Watch Golf live from the comfort of your own home. 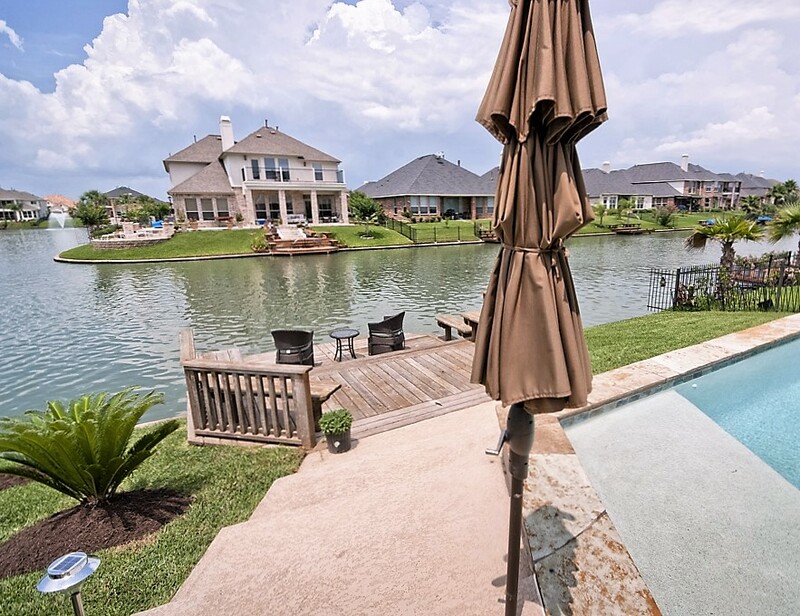 Located just north of Houston, Texas, Bentwater is a 1,400-acre master-planned community nestled between two breathtaking, protected natural environments – the 22,000-acre Lake Conroe and the 160,000-acre Sam Houston National Forest. The setting is lush and beautiful, taking advantage of the Texas piney woods and boasting more than 12.5 miles of shoreline, two private islands and acres of gently rolling hills blanketed with pine and hardwood trees. Bentwater redefines the lake resort lifestyle and proudly takes its place as the only private, gated, waterfront community in Texas with 54-holes ofchampionship golf, a Country Club, Yacht Club & Marina, a Racquet Club, Fitness Center, Day Spa, Pro Shops, and two private islands. 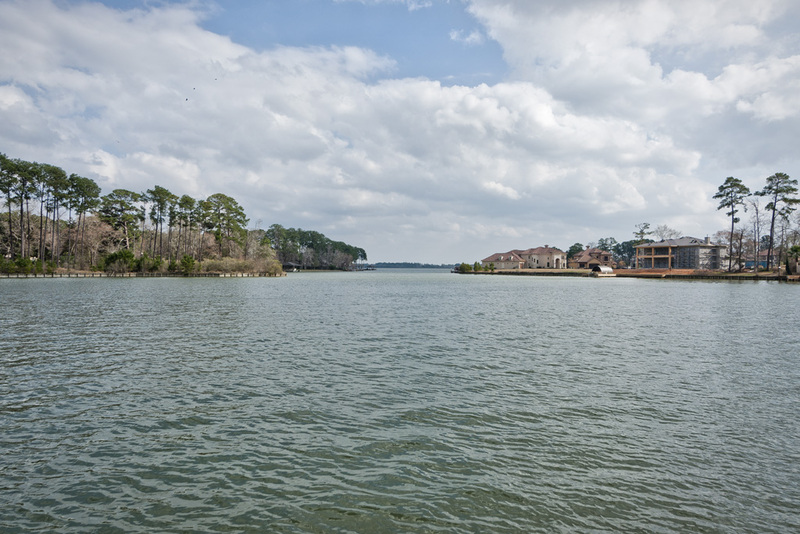 The Village of Panther Creek was the second village to open up within The Woodlands in 1977 and is home to some of the areas nicest waterfront homes, as it borders the West edge of Lake Woodlands. Panther Creek is located towards the front of The Woodlands right next to The Woodlands village of Town Center, so most of The Woodlands finest restaurants and retail establishments are all within a very close proximity. Some of Panther Creek’s more desirable neighborhoods are Splitrock, The Cove, West Isle, and Windward Cove. 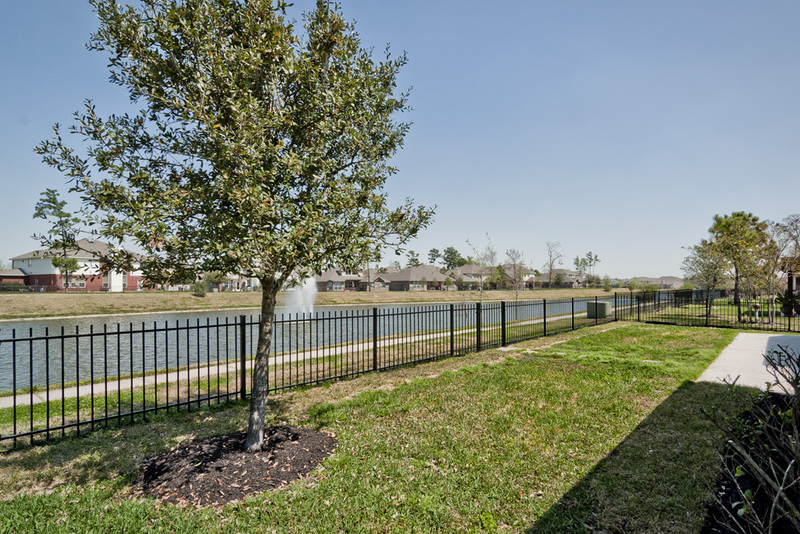 Panther creek has numerous parks for residents to enjoy all within walking and biking distance by way of Panther creek’s pathways; some of the larger parks within Panther creek are Northshore, Ridgewood, Creekwood, and Southshore with beautiful views of Lake Woodlands. The Woodlands village of Panther Creek has about 3600 homes and is served by Sally Ride and Glen Loch Elementary, and McCullough Junior High. Sheila has sold up to 19 1/2 acres to 2 acres. 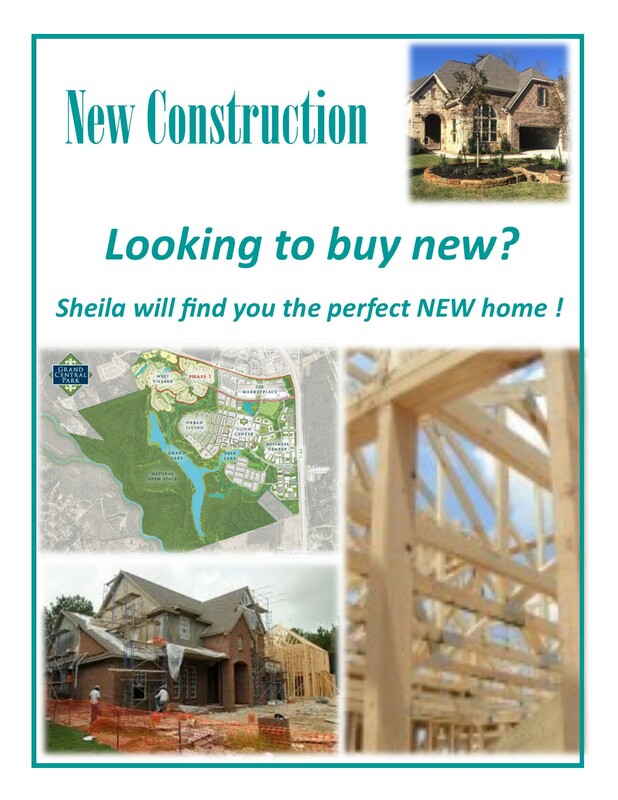 Whatever your acreage needs, Sheila has you covered. 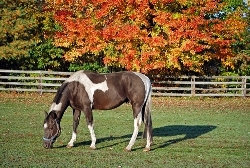 If you’re looking for property with plenty of room to roam, or perhaps a place to keep horses, Montgomery County has a great selection of homes with acreage. 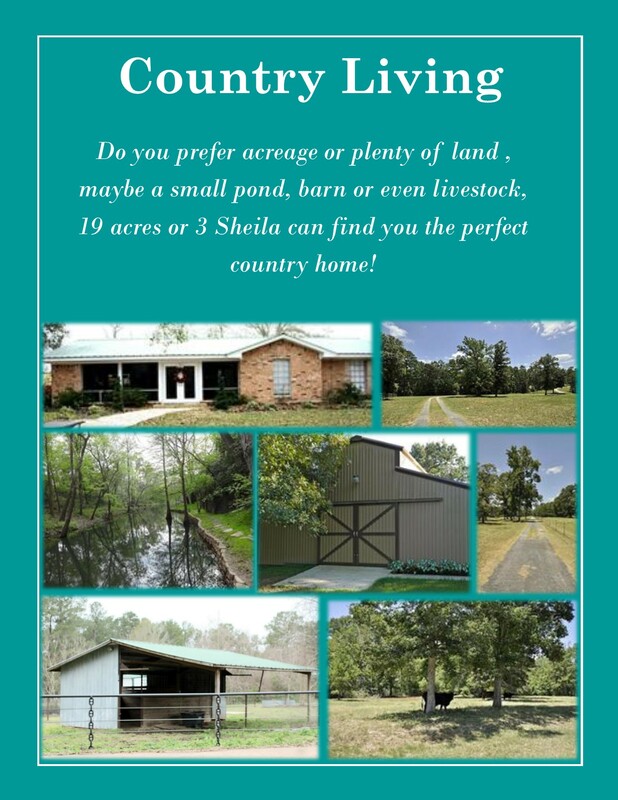 You’ll find a variety of acreage home sites, horse properties, and country homes in Magnolia, Montgomery, and Lake Conroe. There are some breathtaking properties with a rural country-feel in Montgomery County. Some communities that offer acreage property include Montgomery Trace, Crown Ranch, and Highland Ranch. High Meadow Ranch homes for sale are situated in a beautiful countryside community, surrounded by tall oaks, creeks, and ponds. A peaceful and elegant community, High Meadow Ranch offers miles of trails for walking and horseback riding, abundant wildlife, and stunning custom estate homes. Real estate in the community consists of home sites one acre and larger, and residents enjoy an atmosphere of tranquility and wide open spaces, while still maintaining a strong sense of community. 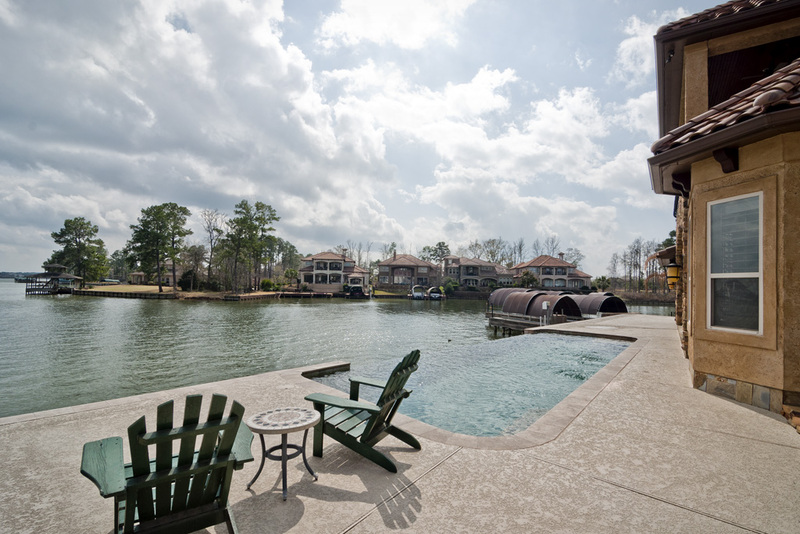 Grand Lake Estates is a beautiful acreage community located in Montgomery, Texas. The community is home to a gorgeous forest preserve, rolling hills, fishing ponds, and the Grand Lake Golf Club. Real estate in Grand Lake Estates is comprised of country homes set atop spacious lots — many of which are well-suited for horses, so if you’re in the market for an equestrian property, this is a great place to look. This is a gated community, so in addition to the tranquility of country living, you’ll also enjoy privacy and security. Capturing the spirit of the great lodges and fishing camps of the 19th Century, Bluejack National is a gathering place where modern families and friends may choose to visit for a short while or live year-round. Here they will pursue their passions, strengthen bonds, share traditions and create memories. Bluejack National’s thoughtfully selected amenities will enrich this experience by cultivating unique opportunities for outdoor recreation and adventure. 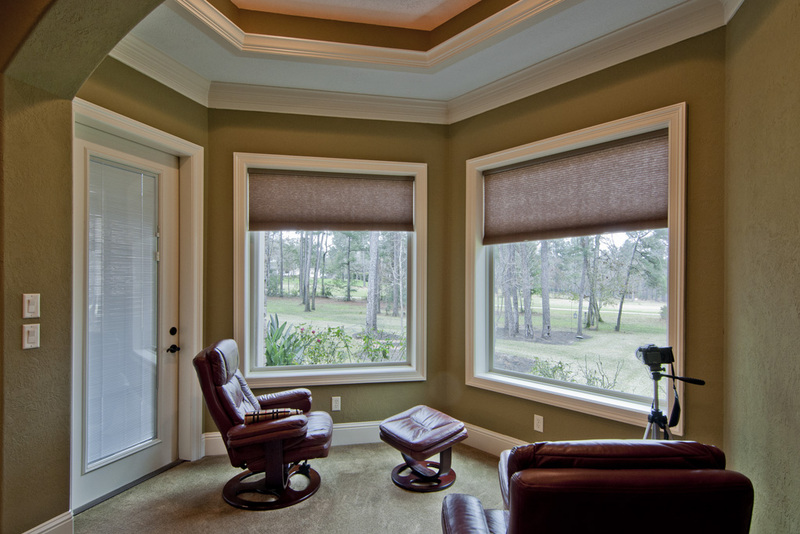 Bluejack National takes its aesthetic cues from classic American architectural styles. Homes are rich in craftsmanship and authenticity. By using the finest native materials they blend effortlessly with their pastoral setting. Neighborhoods are ideal for walking or biking and inspire residents to enjoy the natural beauty that surrounds them. Likewise, homes feature expansive front porches, perfect for relaxing at the end of the day and encouraging casual conversations among neighbors and friends. Bluejack will include 386 private residences. These will be offered in a variety of styles enabling buyers to choose the type of residence that best meets their needs – from short-term visits to year-round living. Darling Homes elevates patio living to a new level of luxury in this prestigious Woodlands community. For buyers looking to downsize their square footage without compromising their lifestyle, the Old World, Country French, and Mediterranean charm is a statement in sophisticated living. Punctuated by extensive courtyards, covered porches and patios, these distinctive one and two story floor plans feature luxurious master suites, thoughtfully secluded at the rear of the home; large gourmet kitchens with granite countertops and walk-in pantries; optional game room, media room or secondary bedroom, 3-car garages and walk-up attic storage; and a guest casita opening to an outdoor courtyard. 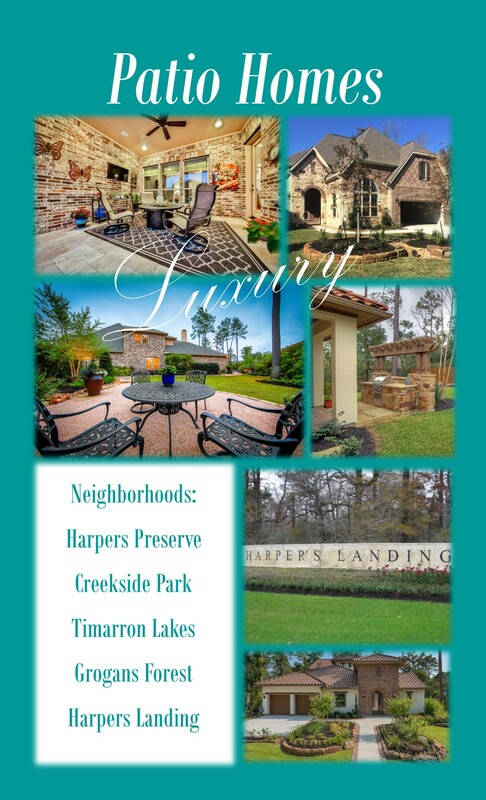 Exclusive, yet affordable new homes are offered in Harper’s Preserve by some of the Houston area’s finest home builders from the $260s to $800s.